Tom invited us to go climbing with him at Mount Arapiles for 2 weeks so we set off with him stopping off at the Grampians for one night before going to Arapiles. We arrived at a place to camp just in time to walk up part of a mountain and watch the sunset. Then we made dinner and slept under the stars. 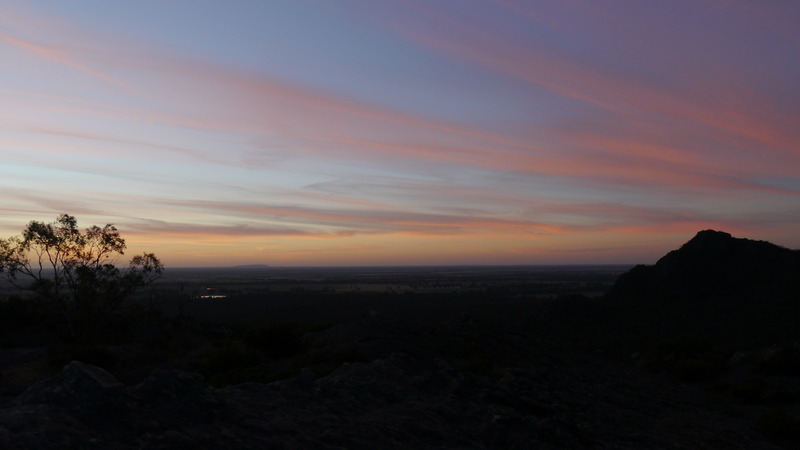 Mount Arapiles is visible on the horizon of this shot. 28 Oct	This entry was published on 28/10/2012 at 05:54 and is filed under Uncategorized. Bookmark the permalink. Follow any comments here with the RSS feed for this post.